Much like I was skeptical for how the story would seemingly self-form when we first got to Uganda, I was just as worried about how difficult it would be to sift through our b-roll footage and interviews to find a real structure to what we were chasing. Yet, in a similar fashion, it didn’t take long for one to arise, and everyone felt good about what we were trying to target. Transcribing was a pretty big pain. It was fun for about ten minutes, and then that feeling went right out the window. The constant pausing to write everything I could remember to realize I only advanced three seconds in the video honestly became disheartening after a while. Regardless, we eventually sludged through that process after about a day and a half of work, and I was able to move onto b-roll footage, which was much more enjoyable. There was so much good footage that was available, and after cutting out only the unusable stuff, I ended up with a pretty extensive timeline. However, Tim told us we should have all sections down to 2.5 minutes or less, which is where things got a lot more difficult. I really enjoyed just being able to go through my own shots as well, as we got no chance to while we were in Uganda. This trip was a great opportunity to be able to use a camera, and it’s hard for me to overstate how much I really enjoyed it. Being able to look back on how my work really turned out on a big screen was a great feeling. As we were coming back to Omaha (what felt like very slowly, I might add), I was filled with mixed emotions. I mean, it was impossible to get past the basic desire of wanting to be back in my bed, both for the longer length and lack of mosquito net. 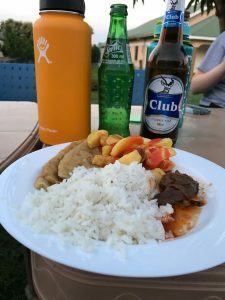 In the same vein, I had to come to miss some of the food I regularly eat that wasn’t available in Uganda. I even came to miss water being contained in the space where I’m taking a shower. However, it was just as hard to ignore the nagging feeling I had of how I was going to really miss what I had come to know over the past two and a half weeks. While what we saw and heard most days was sad, the experiences I had and things I learned most days as a result of going wherever we were was something I had already learned to highly value. I think some of it came out of a fear of how I go back to the same sheltered experiences at home. After learning so much about these people and how they live, it was time to trek to the airport to completely detach myself from what had happened. I didn’t necessarily feel guilty- I clearly needed to go home- it just seemed odd. I think it’s great that we’re making a documentary about what we’ve seen, directly using their words to relay their situation to others. It’s really helped ease that feeling, perhaps more so than if we just would’ve shown up, done some service, and gone home. Plus… I am gonna sort of miss the food we got. When we stopped for a day in the border town of Moyo, the plan was to get an understanding of, as well as footage for a receiving and distribution center, and those going through the process. As I was on b-roll team, we were done earlier than the other group, who was following a specific family through the steps. To pass the time, some of us pulled out a frisbee we had and started tossing it around in the middle of the compound. We attracted a lot of attention quickly from the children around us, and in just minutes, we had several join us in a circle to toss it around. Despite them having likey never seen the object before in their life, and only our example to follow on, some of them picked up on it extremely quickly. No matter how often a throw was accurate or a catch was made, they had smiles all the way around. While this experience was certainly a memorable one for the kids, I think it will resonate with me just as much. Being able to make an impact on them that’s noticeable in their expressions, and providing a few laughs between what they’ve recently gone through? It’s surreal. The bridge connecting South Sudan and Uganda loomed just a few kilometers away. What they came to know, the life they left behind, they were truthfully hardly removed from. Being able to interact with people who have gone through what they did, all the while close to the country that drove them out, was a staggering experience I never thought I’d have. To write this blog, I restricted myself to the quiet setting of my room, and turned on my Spotify playlist holding my favorites. I’m not sure I’ve done a great job giving myself enough reflection time on this trip, partially because some days have gone from sunrise to sunset. The last 11 days have certainly held some of the most unique experiences of my life. Despite not all those experiences spawning from good reasons or positive moments, they’re all obviously important. They’ve helped highlight key differences between culture here and what I’m used to. I was never expecting to meet a man like Rogers O’Can. One of thousands of roadside plots of land, the place where Rogers and his family resides looks no different than any of the others we’ve passed all over the country. Yet, this man was personally displaced from his own home for a few days some years back by Kony. Kony was a menacing and terrorizing figure eventually recognized over much of the world, and I was here standing where he was before. Rogers mentioned it only in passing, as Kony was less of a news figurehead like he was for us, and much more real for the people actually dealing with it in the area. There was also the killing one of Museveni’s most well-known supporters and war kernel. The news broke late at night as about half of us remained in the main cafe area of the center we were staying at. Ugandans gathered around the TV as the live coverage showed the crime scene and reviewed what details were known. The next morning, nothing more was heard about it. I reviewed newspapers a couple days later at one of our stops, and could hardly find anything on the matter. As Herbert said, “the people will quickly move on as if nothing happened.” It’s business as usual. I started to consider what these two events would have been like had they happened on US soil. There would be an obvious frantic response to the killing of any political head, news coverage and debate raging on for weeks as the public continued to follow the slow-coming details. 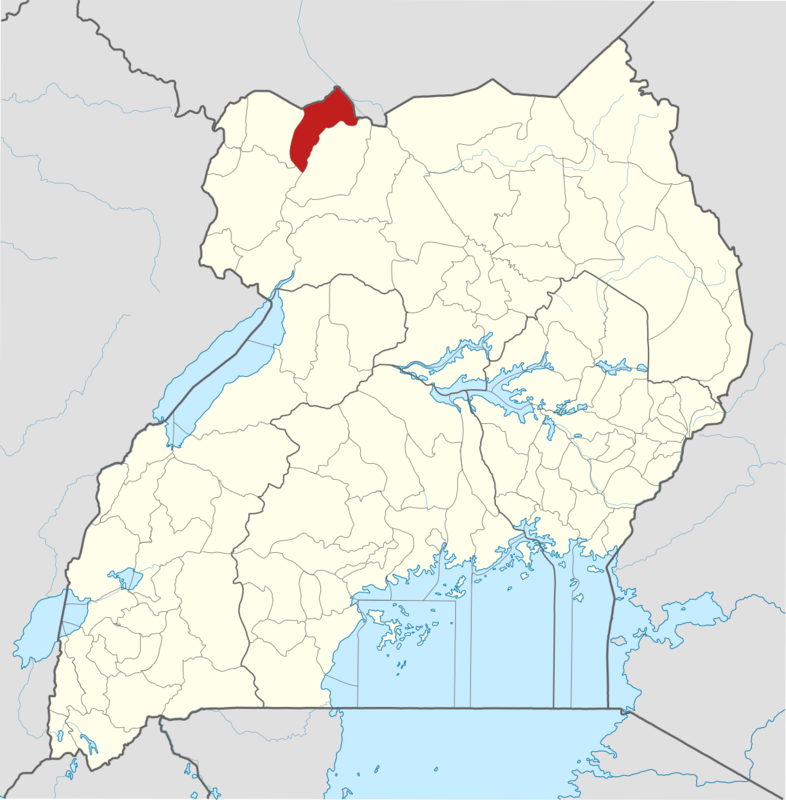 Someone like Kony’s trail would’ve likely been well-documented and shared, perhaps with people coming to visit where he had been. Ultimately, my point is that there’s a large gap between how our society, compared to ones like Uganda, handle events that we would consider shocking. I suppose that’s what happens when the people are forced to deal with them much more often. The world is a peculiar place. Within it’s bounds, it can hold an uber-successful juggernaut of a country founded on exploiting others by force. Just a few thousand miles away, the opposite side of the spectrum is fully on display. Blatantly displayed in the streets, the residents of eastern Africa interact and go about their daily business completely different. Ironically, the people of the latter region appear that they couldn’t possibly be of the same world as the first. Before I came to Africa, this difference was something I more or less expected. However, I had not considered the state of the more populous areas. When I thought of Africa, my mind defaulted to the vast open plains, people few and far between, the rain taking turns to show with the sun. 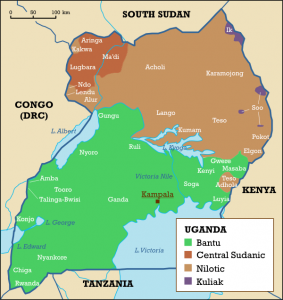 While these areas certainly exist, places like Kampala were a whole different animal. I likened the setup experienced in the town like someone did a “copy-paste” all over the city. Over and over, you’d see several cramped stores together almost always featuring a unisex salon, food place, beauty store, drug store, and so on. For blocks on end, the town featured buildings as such, with several thousands of people perusing the streets, on the way to something, I’m just not sure what. Trash piles, stray animals, and parked motorcycles all occupy a large amount of space in the already crowded, poorly formed roads. Ultimately, I suppose the point of this blog is that the world is where many different people living in many cultures and climates with many different ideas and experiences are all trying to carry on together. In 16 hours of transportation, I was taken from one place to another that felt like two completely different worlds. I’m still processing that. My body clock is adjusted, I’ve gotten over the new bathroom arrangement, and we’ve moved past the days of afternoon breaks. This Uganda trip and the reason we’re here became much more real today as the team finally moved into our first filming session, working with JRS as we learned more about their programs, outlook, and grounds. Thanks to the wonderful outlook and background given by Kizaza and Father Kevin among others, the group got a lot of what I’m hoping is good b-roll and interview footage. I was very doubtful of one idea that continued to get repeated to us: the story will unfold when we get there. Instead, I chose to be nervous about my interview, of which I was running the very first one we did. However, when we actually started, I realized that everything would indeed work out and develop on its own. I was really amazed by the work JRS continues to do for people of all regions around them, with what most would consider very limited circumstances. However, they navigate it well and continue to do great work with so many individuals. Tomorrow, we’ll return again to get more footage, interviews, and hopefully a greater understanding of what this project will do. We’re one day away from leaving, but I still don’t think what we’re doing has fully set in. While I travel often with my family, the farthest I’ve ever gone from home is Canada. Now, over the past six weeks or so, I’ve thrown myself into an adventure halfway across the world to participate in a project to help others. The living conditions will be different, to say the least. We’ll be traveling all around, with plenty of long interview days to come. The things we see may be sad, horrible, or confusing. At its core, we’ll be living in a different world for 18 days. I’m very eager to both learn the story of the people in the region, as well as share it with others. This last week of boot camp covering the social atmosphere of Africa has taught me even more about what we’ll be stepping into. 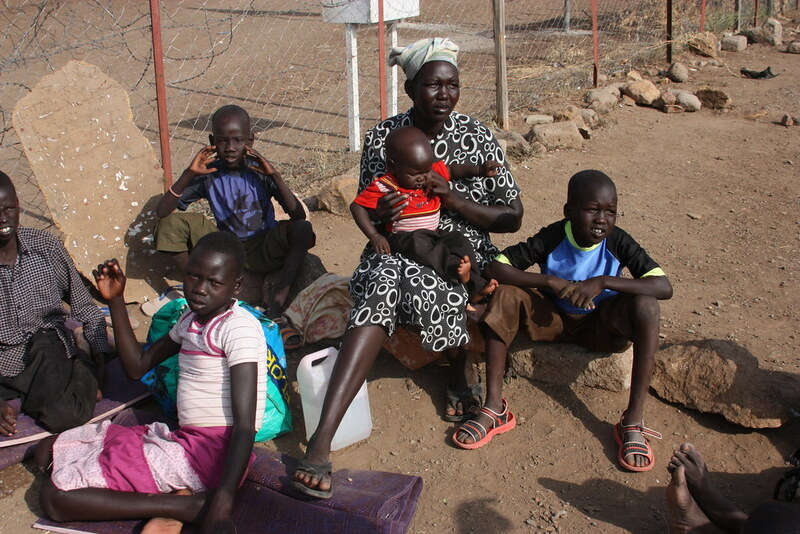 The numbers of Sudanese refugees alone in the world has surpassed the two million mark, while Uganda is housing one million refugees within its borders. This region of the world is in dire need of help and direction, and I was shocked to find out how many people the situation has affected. 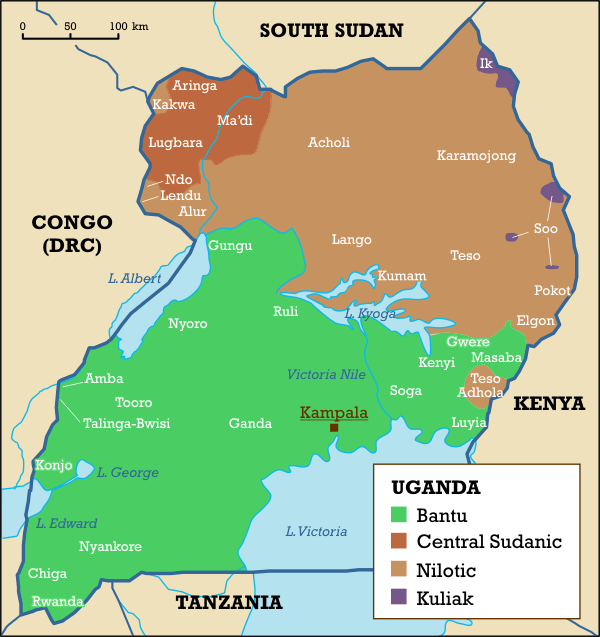 South Sudan’s situation has indirectly drawn the nation of Uganda into the mix as the two share a border. Thousands of families looking for a safer place have found themselves moving from their country and into Uganda. 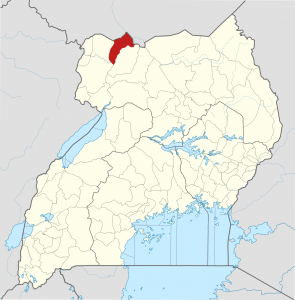 Because of this, the northern region of Uganda has experienced a change in composition over the last several years. The notion that people just a day of travel away can live out a life different than mine in virtually every way is something I’ve been familiar with for the last several years, but can still bewilder me at times. Being born in the United States and gifted the life I have is a blessing in itself. I hope that this trip can bring more people to ponder this idea, and what can be done to help others. Growing up, I was provided a sheltered life by my parents. No matter how much my 15-year-old self would tell you differently, the problems I faced then are of a much smaller magnitude than what 99% of the other people in the world face. I like to think I’ve gotten more aware of these as I’ve grown older and I still continue to every single day. As I continue to learn more and understand the full scope of these circumstances that so many people face, I’ve noticed that this inequality is present in so many different ways and just how much it can take a toll on those who it effects. Really, I’ve discovered I have a desire to bring these issues that these people around the world are facing for others to see. While countless stories are published all over the news and internet over those marginalized, there are just many situations not exposed or shared with the public that many may not even know exist. While there are thousands of donation efforts, protests, and more done in the name of the marginalized every day around the world, I think it’s hard to argue that enough is being done or that they’re getting sufficient recognition. I’m hoping to gain many different things on this journey to Uganda. A firsthand look at the state of living of the refugees. Experience of covering a story in a very real-world scenario. A fresh perspective that can be used and reflected on for my own life. Despite going to Canada and Mexico, I’ve never been outside the continent of North America, and certainly never to a region like where we’re going to visit. I’m excited to get the opportunity to help these people in any way we can.